Vegetable gardening doesn’t have to stop when the weather turns cooler. In the warmest parts of the country, such as the south, the weather remains balmy enough even in the coolest days of the year to raise cold-hardy vegetables such as kale or beets. According Oregon State University, these plants will not freeze even if temperatures dip below 20 degrees Fahrenheit. Some cold-hardy crops improve in flavor once they have been touched by frost. Fruits like rose hips ripen after the first light frost of the year. Rose hips can be made into a vitamin-C-packed syrup. Frost can help to make carrots crisper, and it will improve the flavor of Brussels sprouts. Frost will also give parsnips their characteristic nut-like flavor, according to Iowa State University. For many cool-season gardens, plants can be grown right up until the first heavy frost. Vine plants such as pumpkins or sweet potatoes and root crops such as garlic must be harvested before the first heavy frost of the year. Although frost will kill the tops of potatoes, the tubers may be left in the ground until they are ready for harvest. Many crops that grow well in cold weather are low-growing, leafy, green vegetables. These vegetables, which include members of the cabbage and lettuce families, are slow to freeze because of their low-growing habit. They also absorb more energy from the sun due to their green color. Crops like cabbage, collard greens, kale and Brussels sprouts are hearty down to 20 degrees Fahrenheit, according to Oregon State University. Leafy vegetables may also be harvested before they reach maturity. Often these tender vegetables are tastier than they would be if they reached maturity. Lettuce should be planted in cooler weather because the plant bolts and produces bitter leaves in warm weather. Crops that grow in the ground are another type that is ideal for a winter garden. 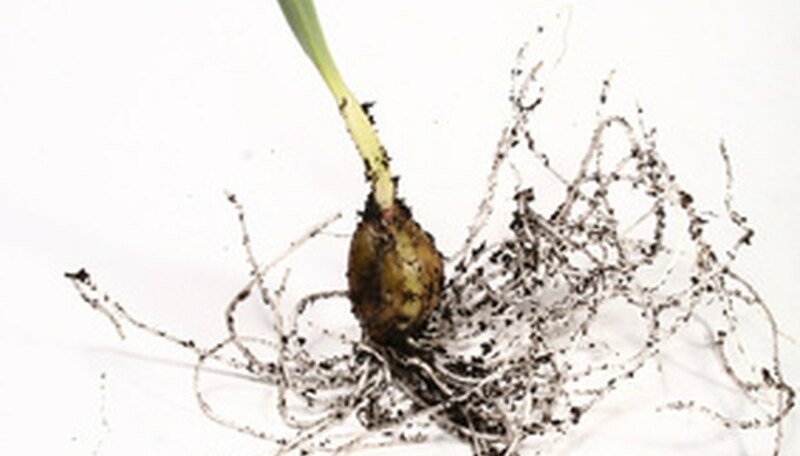 Root crops survive until a hard freeze and often may be planted in fall for a spring harvest. Root crops that will survive in temperatures down to 20 degrees Fahrenheit include beets and carrots as well as green onion, according to Oregon State University. Radishes will survive in the ground until the soil freezes and may be harvested continuously. Garlic should be planted in fall to overwinter. If you plant garlic in fall, it will produce large clusters of garlic cloves the following July. What Vegetables Grow in Texas?